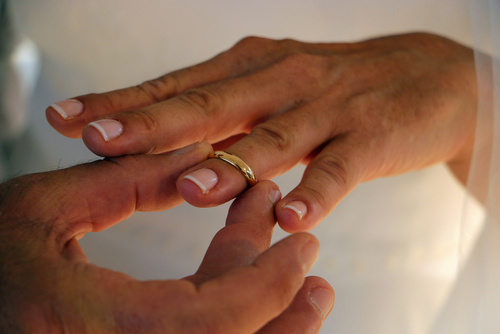 In the state of Colorado, there are no age limits as to when a couple may get married. While to many, maybe most, people this may seem outrageous, underage marriages are often written off as for religious purposes. However, we are starting to see a major shift in the outcomes of underage marriages. In Colorado, anyone at or under the age of 15 may marry with a judge’s approval. For anyone between the ages of 16 and 17, they may marry with either the consent of a judge or a parent. The number of applications for child marriage licenses in Colorado declined by nearly two-thirds from 2006 to 2017. However, in 2017 there were 29 marriage license applications involving at least one minor in Larimer County, Colorado. That is the highest number the county had seen since the mid-90’s. Something was up. A trend that people are trying to get to the bottom of is if underage marriages are simply ways for child molestation and sexual assault to be legal. Pedophiles may convince a younger man or woman that they love them, then convince them to marry them. Once they wed, their sexual relations are not illegal since they are married. However, at what point is the line drawn where the sexual misconduct between a minor and an adult, regardless of marriage, is deemed harmful? A child bride from Colorado recently came out to be interviewed, urging the state of Colorado to reconsider the age to wed. She herself was married at the age of 14 to a man who was 34 years old. A twenty year age gap between a man and, really a child, is quite alarming. The gap was so alarming, in fact, that state lawmakers banned minors from entering into common-law marriages in the year of their marriage in 2006. Ceremonial marriages were never addressed, though. So there have been over 2,200 underage marriages since 2006. The fourteen year old’s thirty-four year old husband was put in jail for sexual assault, which was not overruled by their marriage because a judge deemed it illegal. While they had parental consent for the marriage, they apparently did not have a judge’s approval according to police and court records. The wife claims that she wishes she had never gone through with the marriage and stated that no one knows what they want or what love is at the age of fourteen. Eighteen should be the age limit for marrying, she encouraged. The United Nations has a set a goal of the year 2030 by which all child marriages should be illegal. While perhaps not all underage marriages are for sexual assault reasons or human trafficking, the ban will certainly help eliminate a vast number of cases where it is the underlying motive for the union. Even while wed, sexual assault is illegal, just as domestic violence is. If you are in an underage or adult marriage and experiencing abuse of any degree, do not wait for things to escalate. The child bride mentioned here mentioned wanting to file for a divorce years later. For all questions related to divorce and/or domestic violence or abuse, please do not hesitate to call The Law Offices of Jarett J. Benson today.